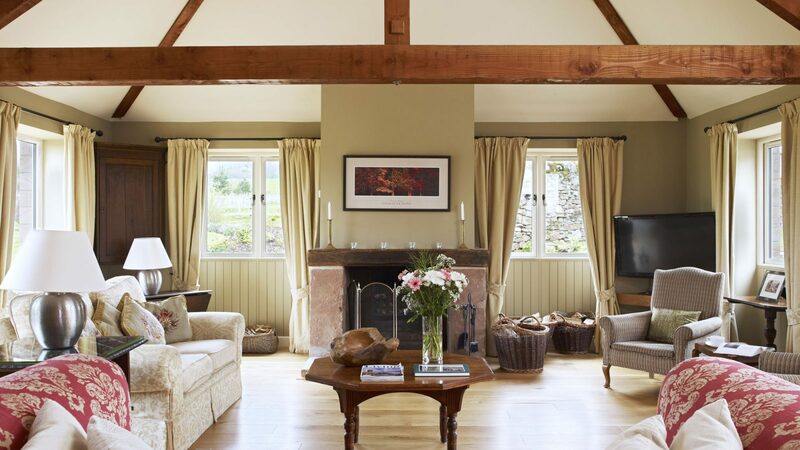 Refresh your soul in this luxurious hall and cottages high on the Lakeland fells. 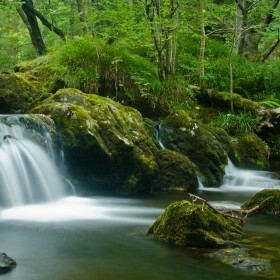 Immerse yourself in good living in a natural paradise. Walk the hills, breathe the pure air, light the open fires. 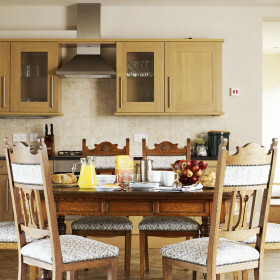 Reconnect with your family through hearty feasts, long days and late nights. 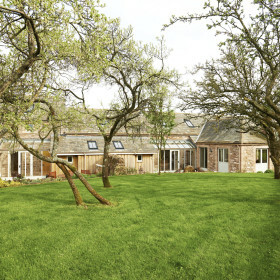 Get everyone together at Birkmere Barn, Johnby Cottage and Fell Cottage on the glorious Birkmere Hall estate in the shadow of the Lakeland fells. Walk the hills, breathe the pure air, light the open fires, open your heart and mind to good living in a natural paradise. 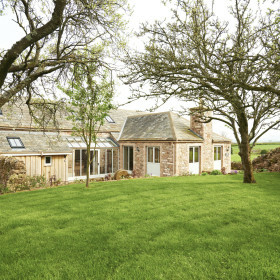 Recently converted Birkmere Barn comes with oak floors and beams, four en-suite bedrooms, double-height kitchen with Aga for hearty family feasts, and large-screen TV for cosy movie nights should the Lakeland mists descend. 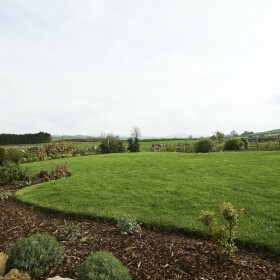 When the sun rises over the Eden Valley, raise a glass to the glorious fells from the sandstone terraces. 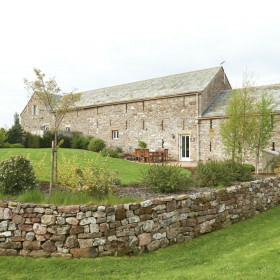 Johnby Cottage is a restored 18th-century coach house. You’ll be converted too, by the double-height oak-floored reception room, underfloor heating and floor-to-ceiling arched windows. 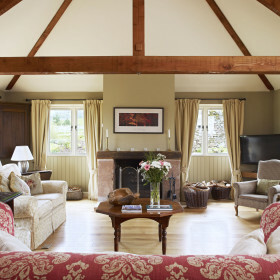 Feed the fireplace with logs and fill the warm air with the pop of a cork and the excited chatter of family games. 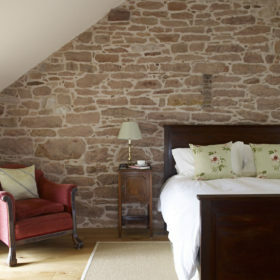 Restored Fell Cottage will renovate your soul. 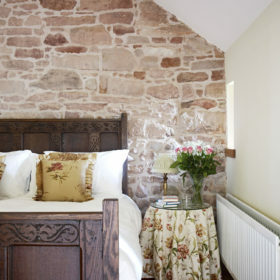 Follow the sandstone steps to the front terrace and into the oak-floored entrance hall. Then gasp. 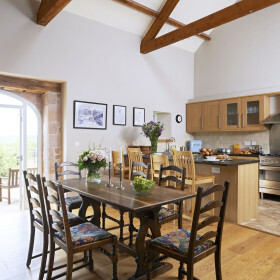 The kitchen is cathedral-high; the cosy spaces designed for families to reconnect; the terrace made for dining and drinking; suites open onto the gardens. Reconnect with what matters in life. 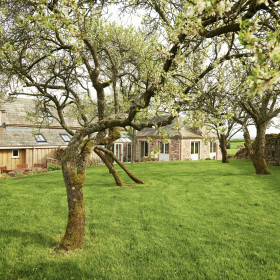 From the expansive gardens, Mell Fell rises invitingly. 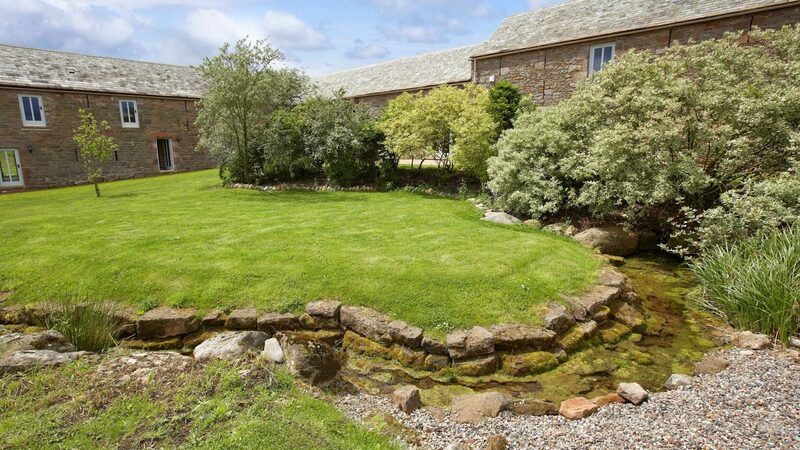 Relax in the gardens at Birkmere Barn and Cottages within the grounds of Birkmere Hall and gaze towards Little Mell Fell on the big horizon beyond. 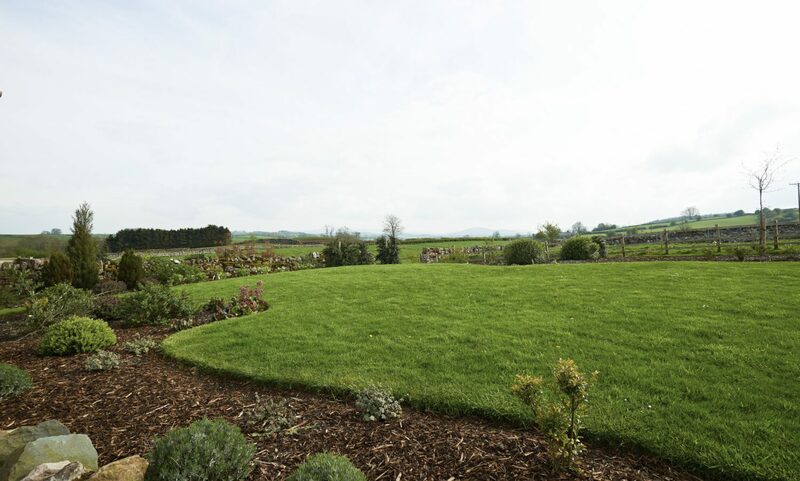 Planted in native species, the estate is at one with the rising and falling expanses of green that surround it. After a day on the fells, there’s nowhere quieter. Just the cry of the curlew, the beating wings of a bat or a lonely owl break the rural hush at dusk. When the sun comes out to play, the sandstone terraces face South to catch every last ray. 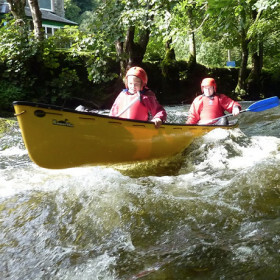 Cook up a storm on the barbie and break out the beers – this is a special place with abundant seating and a tributary of the River Petteril, with its brown-trout fishing and welly-friendly trickle. 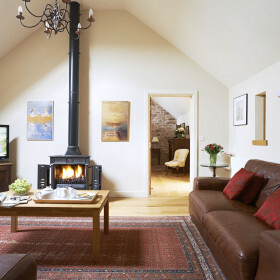 Sensitively renovated, yet bursting with modern conveniences, Birkmere Barn and Cottages dates back to 1726, but its five-star Gold Award is considerably more recent. There’s spacious accommodation here for eight and pets can come, too. 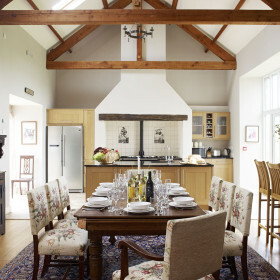 From the entrance hall, you’ll be wowed as you enter the double-height kitchen and oak-floored dining hall. 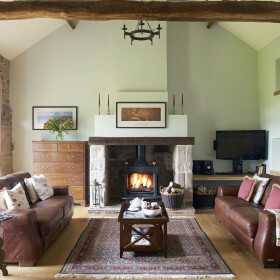 The Gin Case lounge comes with open stone-built fireplace for cosy nights lit by flickering flame, or in summer you can fling open the French doors onto the gardens and sandstone terraces and let in the Lakeland light. Coats and boots get dumped in the separate utility room, which comes with washing facilities. The oak flooring is warmed by underfloor heating and you’ll be kept entertained by the 42″ TV, DVD player and iPod docking system. There’s free broadband wifi for keeping in touch and gloating with those left behind. 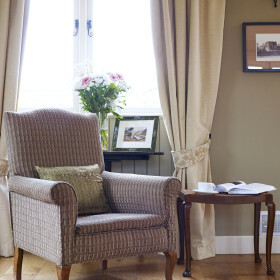 Babies are welcome and there’s a travel cot and high chair, so you don’t need to pack them. Outside, the barbeque and sustainable-plantation teak furniture await. 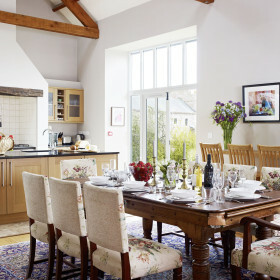 Unleash the inner Heston on the four-oven Aga, gas hob and electric oven and microwave, supplemented by a massive American fridge/freezer and massive, granite-topped cooking island. Or don’t, and let us do it all instead. Put your feet up and arrange for our recommended caterers to prepare and serve something special – just the once, for a special occasion, or every single day. Quality, flexibility and fresh local ingredients are the focus of their service. Lynn Hilditch Catering will drop off your meals at the door or turn Birkmere Barn and Cottages into a five-star restaurant. Choose from a range of caterers, including Lynn Hilditch, Sarah Ecroyd Catering or Ribble Valley Hog Roast. You can even waive the washing-up. That’s their job. If you’re after deliveries, Sainsbury’s and Tesco can provide. But for the more adventurous, you can organise specialty local meats and greens. Local suppliers span Staffield Hall meat pies to seasonal fresh fruit from the Rowley’s Raspberries field. Everybody will get a good deal on the bedrooms. 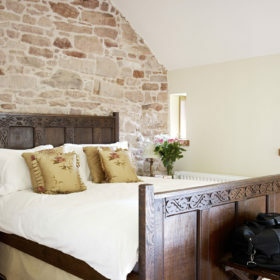 The ground-floor Madison Room boasts a 5′ king-size bed and en-suite shower room. The Lincklaen Room, also a double on the ground floor, comes with 6′ zip-and-link bed with the kid-friendly option to convert to two 3′ singles. Even the kids get an en-suite wc and bathroom with over-bath power shower. 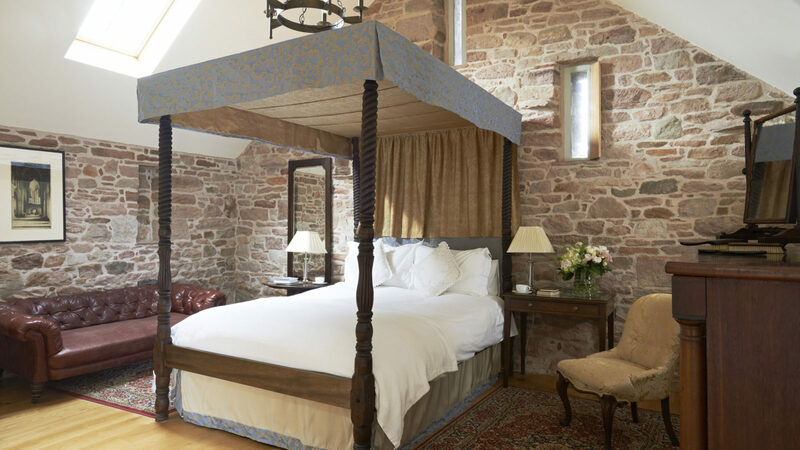 Follow the massive hand-built oak staircase to the Lorenzo Room, complete with 5′ antique oak bed and en-suite with choice of bath for that long soak or instantly refreshing shower. 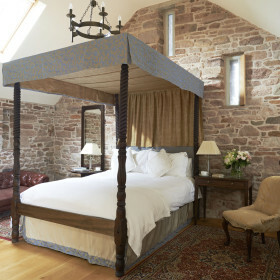 Another good option for kids is the Chittenango Room, with two antique 3′ twin beds and en-suite shower room set into the eaves. Walk, run or ride – the landscape is waiting for you. 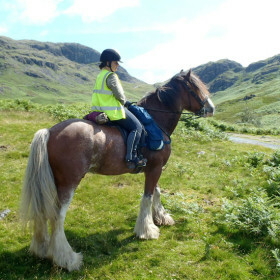 Take quad bikes over the hills; take a kayak out on Ullswater or a pony out on Barton Fell. 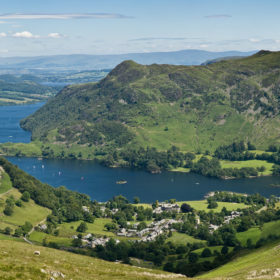 Take a breather in the coffee shops and restaurants of Grasmere and Windermere. Walk to Aira Force waterfall and on up Gowbarrow Fell. Fill your days with fun and your lungs with good air.